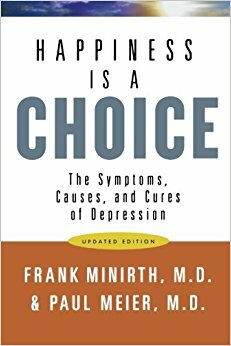 Several years ago, Frank Minirth and Paul Meier wrote a book called Happiness Is a Choice. Most people would agree with that premise. We can choose to be joyful, or we could choose to be miserable. Yet for some reason many people choose the latter! I suppose it is true that misery loves company! Why would people choose: drunkenness over sobriety, promiscuity rather than chastity, crippling debt over frugal living, isolation instead of healthy relationships? On and on the list goes—people making choices that bring them nothing but heartache and pain. Let us be among those who choose wisely. Let’s choose joy. “…Let us rejoice today and be glad.”—Psalm 118:24. This entry was posted in Christian Living and tagged choosing wisely, Frank Minirth, happiness, happiness is a choice, illustration, joy, let us rejoice, misery, Paul Meier, poor choices. Bookmark the permalink.